The PGA Championship is an annual professional golf competition that attracts some of the best players in the world. It is the final major competition of 2017 year and is held August 10-13, three weeks before Labor Day weekend. 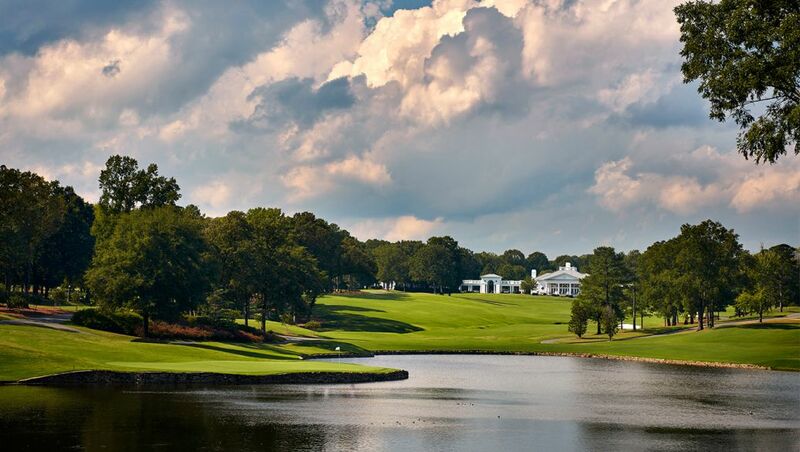 In 2017, the competition will be held at the hollowed Quail Hollow Club course located in North Carolina. The event is organized by the Professional Golfers Association of America and their first competition was held way back in 1916. The total prize money for the championship comes to $10 million. The Sports Techie community blog loves the story regarding Jordan Spieth as he attempts to become the youngest golfer ever to win all four majors. 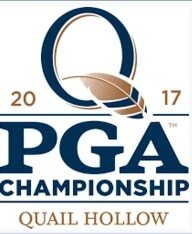 The broadcast for this epic tournament is being produced by TNT aka Turner Sports and also CBS sports so expect a boat load of killer sports tech enhancements over the four-days of TV and streaming on PGA Championship Live online at the PGAChampionship.com website. The PGA Championship organized by the Professional Golfers Association of America and the first competition was held in 1916, logo via PGA. There are a number of privileges that the winner of the PGA Championship will benefit from. He is invited to play at the Championship every year until they retire and therefore will not have to worry about qualifying for it via another route. They will also qualify for the other three competitions that make up the PGA Tour for the next five years. Winning the PGA Championship can help provide a great deal of security for golfers in terms of their careers as it guarantees that they will be playing at the highest level for a number of years. 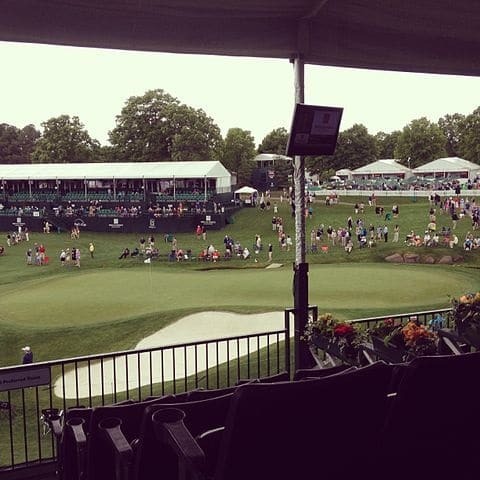 There are a lot of other businesses that also benefit from the PGA Championship. Companies may act as sponsors for the tournament and this means that their advertising, branding and messaging can be seen all the way around the course. Local businesses will benefit from the extra visitors to the area while the tournament is being held. Fans can also spend time and play online slots at Euro Palace that feature a golf theme. A maximum of 156 players can compete in the PGA Championship. There are a number of ways the players can qualify for the competition. All former winners that have not retired from the game will be offered a place. Winners of certain other competitions will also qualify and this includes the winners of the last five Masters, Open Championships and US Opens. Invitations are also offered to the top 70 players according to official money standings and all members of the most recent Ryder Cup teams, providing they are in the Top 100 player rankings. It is not uncommon for one particular player to qualify for the tournament in more than one way. If there are places left then these are offered to the players that are below 70th place in the money standings, with the player at 71 receiving the first offer and so on. Jimmy Walker is the current holder of the Wanamaker trophy. It has been won by many famous names in golf throughout the years including Rory McIlroy and Vijay Singh, the latter my brother and I saw play of Thursday on his way to winning the title at the Sahalee Country Club PGA Championship in 1998. However, the event has really been dominated by American golfers. The record for the most titles is shared by legends Jack Nicklaus and Walter Hagen, who have both won the competition five times. Close behind these two is Tiger Woods who has four PGA Championship titles to his name. One of the reasons that the PGA Championship is so popular with spectators is that anything can happen while the golfers are out on the course and it really is anyone’s game. There have been many occasions where the favorite has crumbled and the underdog has taken the opportunity to shine. Sports Techie, anything can in the game of golf and does happen including when I found Seattle’s own Freddie Couple’s shot in the rough at Sahalee and shouted out to him where it was. Following Tiger Woods around for a few holes was a lifetime memory just like following the best players of today are for fans at Quail Hollow. Spieth come offs winning The Open Championship in England as the youngest winner ever making it three majors by the age of 24. The odds of him winning the PGA Championship are heavy in his and Rory’s favor even though the pressure they both faces is enormous especially because Jordan is chasing history. Look for Dustin Johnson, Jason Day and Matt Kuchar to play well. Perhaps Ricky Fowler will win his first Major or will Hedeki Matsuyama bring a victory back to Japan as the first Asian player to win a Major. Either way, everyone starts even day one so may the best man win.